Here are some Christmas Ideas from 2011. Just click on the links below each picture! 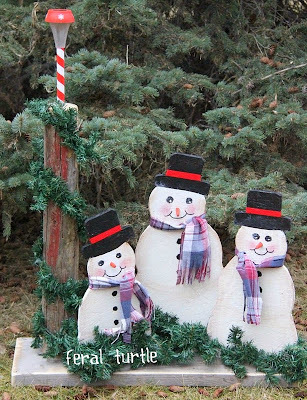 Ooh I love those snowmen, very very cool! You were busy last year! Am I totally pathetic for really wanting the homemade linen spray and I got super excited about it? Haha. Yeah..I have no life! LOVE the music sheet candles! New follower on you rGFC from the Social weekend Hop. Would love it if you could visit and follow back. Thanks! Got your message--thank you sooo much for the follow back. I really love the crafty ideas you share here for the holidays!! love the music sheet candles! Nice ideas. I really got inspired. You've got a lovely blog. These are some cool ideas. Im one of your newest followers linking up from the weekend social mix blog hop. I would love for you to check my blog out! Wow! These gifts are fabulous! Thanks a lot for becoming a Follower of my Blog. I am happy to follow back. Have a great weekend. The bear family is so cute! 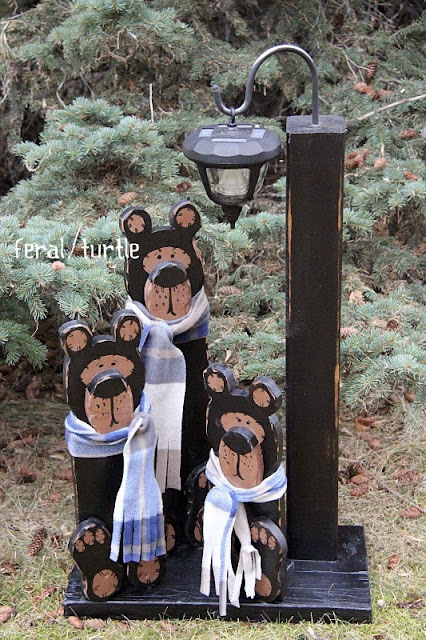 Ok, that Solar Bear Family is adorable! What great ideas!! Will have to steal a couple for this year's Christmas table -- homemade crackers and love the popcorn snowmen! I came back to tell you "hi" and have just been spending a little time reading your older posts. The more I see this one, the more I want those candles with the musical notes!! I saw you featured at Raising Reagan and came to take a look. There are so many great items here, but that pine cone tree would do wonders for the collection of pine cones we have accrued!